Copyright Notice: ™ & © 2018 Eric Carle LLC. These are the official Very Hungry Caterpillar licensed characters, Very Hungry Caterpillar. 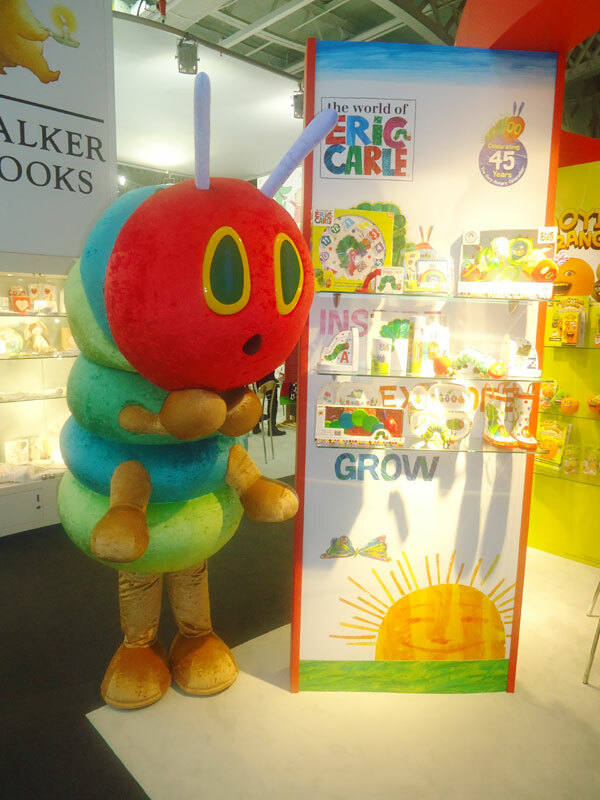 Rainbow Productions holds the UK’s official licence to manage the personal appearances of the Very Hungry Caterpillar at public events on behalf of the brand owner. A green baby caterpillar hatches from an egg. He then has an endless craving for food. He eats his way through a wide variety of foods. These foods include: Fruit, cake, cheese, salami and much more! Eric Carle’s book The Very Hungry Caterpillar was first published in 1969. The loveable insect has since eaten his way into the hearts of millions of children all over the world. And made guest appearances at various events. Over 38 million copies of Carle’s text have been sold worldwide. It has also won a number of significant rewards and is available in about 50 different languages. These include: French, Spanish, German, Chinese, Swedish, Russian, Italian, Hebrew and more. In March 2014, Carle’s loveable character joined forces with Action for Children. The team began inviting children in the UK to join in with the first ever ‘’Giant Wiggle’ event. A sponsored walk for under 5’s. The “Giant Wiggle” won the Progressive Preschool award for Best Preschool Marketing Campaign in 2014. The hungriest insect we know will be celebrating his 50th Anniversary in 2019! 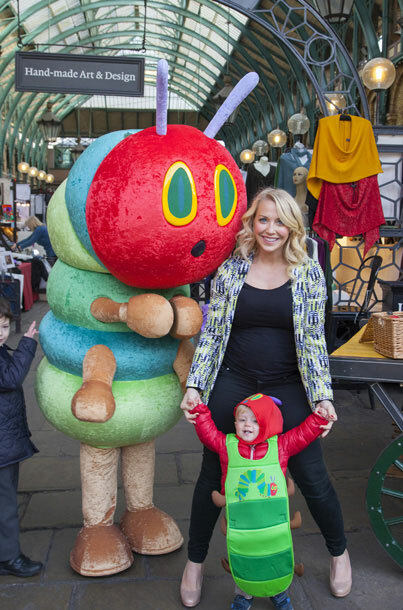 What better time to book the Hungry Caterpillar Mascot Costume? He is available for UK events. He makes a welcome guest at a range of corporate events, particularly those where children are present. He can also work well as part of a healthy eating inspired event. Book mascot costume from Rainbow Productions by filling in the form below or contact us to find out more.